Did you know that King Arthur’s sister Morgan le Fay was the lover of Ogier the Dane, one of Charlemagne’s great knights? In fact, they knew each other since Ogier the Dane was first born. In my new novel Ogier’s Prayer: The Children of Arthur, Book Three, I explore their relationship. Following is the opening scene in the novel where Ogier begins to tell his story, beginning with his first meeting the legendary woman who would be a guiding influence throughout his life. The first remarkable occurrence of my life took place when I was just days old, during my initial presentation to the court; it was not the day of my baptism or christening as the Christians would call it—for my parents and all of Denmark in those days were followers of the old Gods, Odin and Thor and all those who dwelled in the halls of Asgaard—but it was the day I was named and presented to the court as my father’s son and heir. Although it was a great day of celebration, considering that an heir had been born to the king, the presentation was not expected to be anything beyond the ordinary for such events. But it soon became an extraordinary day because of a visit from unexpected guests. I remember little of the early years of my life, but that day, as I lay in my mother’s arms, facing the court, I witnessed such marvelous events that even a mere babe could not forget them. From the Red Romance Book by Andrew Lang. The caption reads “How the Fairies Came to See Ogier the Dane.” Ogier is a major character in the Charlemagne legends and beloved of Morgan le Fay. He is the major character in my upcoming novel “Ogier’s Prayer: The Children of Arthur, Book Three. My memory of that day begins just as my father presented me to the court, and the nobles and his other liegemen had formed a line to pay me homage and to swear to serve my father, the king, and his newborn heir. In the midst of this ceremony, first faintly, then growing ever louder, came the sweetest music that mortals ever heard. It seemed to originate from right outside the castle wall, but then it soared, as if carried on the wind, through the open window, and into the throne room. Nobody knew from whence such bewitching sounds could come, but many murmured how the music was so heavenly that they could only think we were to be visited by an angel. But that misperception was soon corrected when through the window floated six female fairies. Each bore in her hands a garland of flowers and rich gifts of gold, gems, and other priceless valuables. I will never forget, from where I sat upon my mother’s lap, the sight of these lovely creatures. They were so beautiful and so aglow with light that the courtiers later admitted to feeling great awe and fear at the sight of them, but I only laughed with glee to see their radiant beauty, and I felt a great happiness descend upon me. My mother, however, seemed afraid of the fairies’ presence, for I could feel her trembling once they had positioned themselves before the throne, the crowd having drawn back to provide a place for them to land, but instead, these six gracious beings hovered a few inches above the floor, their gossamer wings making a gentle, quiet, and cooling breeze. I remember feeling such deep peace, and at the same time, such joy as she held me in her arms, and that peace and joy continued as I was passed into the arms of each of the fairies in turn. And then the sixth fairy, the most beautiful of all, took me from the fifth; she lifted me high and danced about the room with me in rapturous joy, all the while singing sweetly a lullaby of fairyland and the island vale of Avalon, and then, although she never said her name, somehow I and all the court knew she was that fabled one, Morgan le Fay, sister to the great King Arthur and the Queen of Avalon. And then Morgan le Fay gently placed me back into my mother’s arms, and with the torch still in her hand, she and the other fairies strewed the floor of the throne room with rich flowers and gems until all the air was filled with perfume and the angelic music resumed, and suddenly, a radiant sunbeam broke through the open windows until the room grew brighter and brighter and the light forced all to close their eyes, and at that moment, the music ended. After a second, when everyone opened his or her eyes, the fairies were nowhere to be seen, although the flowers and jewels remained. And then I felt a great coldness come over me for the fairy’s blessings and their prophecies of my future fortune and mighty deeds were all that a mother could ever desire for her child, and this overwhelming joy must have filled my mother’s heart until it could not be contained and thereby burst. And in another second, my nurse ran to catch me as I tumbled from my mother’s lifeless arms. Tyler Tichelaar, Ph.D., is the author of The Children of Arthur series, which includes the novels Arthur’s Legacy, Melusine’s Gift, Ogier’s Prayer, and the upcoming Lilith’s Love and Arthur’s Bosom. He has also written the nonfiction scholarly work King Arthur’s Children: A Study in Fiction and Tradition. 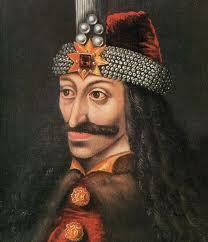 You can learn more about him at www.ChildrenofArthur.com. Haroun al-Rashid—sovereign over half the known world as ruler of the Abbasid Caliphate, which stretched from Arabia’s southern deserts to the great Caspian Sea, and from the Mediterranean’s easternmost reaches to the borders of India, so that all the world knew his fame and feared him, yet marveled at his magnificence and admired his wisdom and prowess—was terribly bored. The mighty caliph sat in his sumptuous palace in his glorious capital city of Baghdad and wondered whether there was anything at all left in the world that could possibly give him a few hours’ amusement. He had engaged in all manner of sport, warfare, and love during his youth. He was honored and esteemed above all in his domains and over all princes and heads of state outside the borders of his empire. Not even Charlemagne of the Franks himself could rival the caliph in any way. And now as the great caliph approached his fortieth year, he felt that everything there was to see and do, had been seen and done, and so being a great ruler was a sorry position to hold in life, for all manner of amusement had always been readily available to him, all his desires quickly and easily fulfilled, and only great boredom had resulted from all his prosperity and success. Now, Giafar had something of importance to say to the caliph, and he had no intention of being put off by mere silence, so taking Haroun al-Rashid’s sigh for permission, he made another low bow in front of the throne and began to speak. Giafar bowed and quickly obeyed. Five minutes later, he returned with two disguises, and after assisting his master, within a few moments, they were both dressed as foreign merchants. And in another minute, the caliph and grand vizier had passed through a secret door in Haroun al-Rashid’s private chamber that took them through a long and twisting tunnel beneath the palace. Soon they emerged outside through a hidden door in a city wall covered by a great shrubbery. Quickly, they merged with the crowds, as if it were an everyday ordinary activity for them to walk the streets of Baghdad, bartering in the bazaar, giving alms to beggars, and stopping to kneel when the call to prayer was sounded. So disguised, Haroun al-Rashid was able to find some pleasure in this great joke that freed him from the burdens of statecraft. Often, he considered that he might so remain in such a disguise, with the intent to slip away from the palace and Baghdad and his own high position so that he might forget all his cares, for the ruling of an empire was no light matter. But he also knew that his wife, Zubaida, and his children, as well as the many millions of his subjects, depended on him. Should he disappear, his absence would cause all manner of problems for the empire and lead to rumors of his death, suspicions of foul play, and even civil war. No, he had a duty to his people and could not forsake it, but it did not hurt to fulfill that duty now and then by pretending to be one of the people so he could better understand those whom he ruled. Despite the diversion of pretending to be a foreign merchant, today the great caliph found no amusement in the streets capable of diverting him from his melancholy and boredom. He was pleased to see the peace and good order of the city; his people appeared content, and he could observe that the city was prosperous. Even the blind beggar he passed had a smile on his face. The beggar’s smile only widened at the question, and looking over the caliph’s shoulder, he pointed up into the sky. But the blind man continued to point, and his dishonesty was quickly forgotten when Giafar and Haroun al-Rashid both turned to discover what so commanded the beggar’s attention. Haroun al-Rashid had never in his life doubted his own vision, but at that moment, he came very close to it. “A genuine magical flying carpet!” exclaimed Giafar. The carpet was floating over the city, just perhaps fifty feet above it, slowly growing closer and gently descending. For a good five minutes, everyone in the streets of Baghdad stared up at it, murmuring in astonishment, and children crawled up onto their parents’ shoulders so they might see it better. In a little while, the carpet descended so that it landed on the flat roof of a house. And when the man, who had previously sat cross-legged upon it and whose appearance had been difficult until now to see clearly, stood up, even more gasps filled the street. This man was no native of the city, nor even of any city or property in all the great Abbasid Caliphate. This man had a light complexion like no one in Baghdad had ever seen. His hair looked to have been spun from gold, and he was clad in shining silver armor that sparkled in the sun. “Is it a god?” cried one woman. The golden-haired man was beautiful, however, and tall and finely formed, and dazzling even without a smile, for he looked uncertain, looking down first upon the crowd, and then at the magic carpet beneath his feet, as if willing it to fly back up into the air. And then the magic moment was broken as three soldiers stormed into the house, upon the roof of which the golden-haired man stood. In another minute, the soldiers had arrived on the roof, and the Christian knight, if that is what he was, had drawn his sword, ready to do battle. The caliph heard his name invoked, but he made no move, not wishing to reveal his true identity, but even more so, wishing to see how this fight would turn out. The golden-haired stranger, instead of dropping his sword, charged toward his assailants, and within a minute, the three soldiers found their own weapons struck from their hands and sent flying into the street, the crowd quickly dodging them. One man, in the fight that ensued, stumbled over the roof’s edge and went crashing into the crowd, causing a bystander a broken arm. Another, in fear, jumped onto a neighboring roof, while the third soldier fell to his knees, begging mercy from the golden-haired, godlike warrior who had so mysteriously appeared in their city. 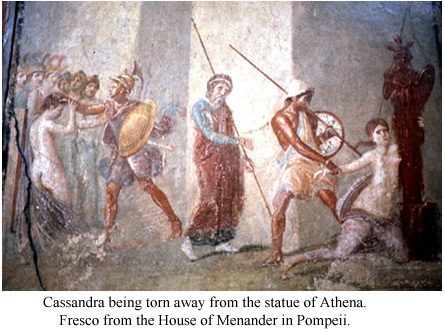 After recovering from his astonishment, the kneeling soldier regained his feet and did as he was bid, leading the way back down through the house. The stranger stopped a moment to put his sword back into its sheath; then he bent down to gather up the magic carpet, roll it, and tuck it under his arm, before descending through the house. As the crowd waited in astonishment to see this amazing warrior enter the street, Haroun al-Rashid said to Giafar, “Quickly. We must return.” And elbowing their way through the clamoring crowd of men, women, and children, all seeking to get a glimpse of, or even better, to touch the mysterious stranger, the caliph and his grand vizier made their way back to the secret tunnel that would allow them to return to the palace. “I will be there in a moment!” the caliph shouted, perturbed by his servants’ impatience; they should know better than to harangue him. Then there was silence, for once confirmation was heard of their master’s presence, his servants dared not anger him. Giafar quickly helped his master change out of the merchant’s clothing and back into robes suitable for a great ruler to receive an esteemed visitor. Then Haroun al-Rashid stepped toward the door and placed his fingers around the handle to open it, but first he turned back and said to Giafar, “Have that deceitful blind beggar found and thrown into prison for his falsehood.” When the caliph did open the door, dozens of servants, his wife, children, and ministers all bowed before him and created a path so he could pass through. Haroun al-Rashid ignored them all and strode through the palace to his throne room where he intended to receive his illustrious guest. Once seated, with a wave of his hand, the caliph ordered the guards to open the door. 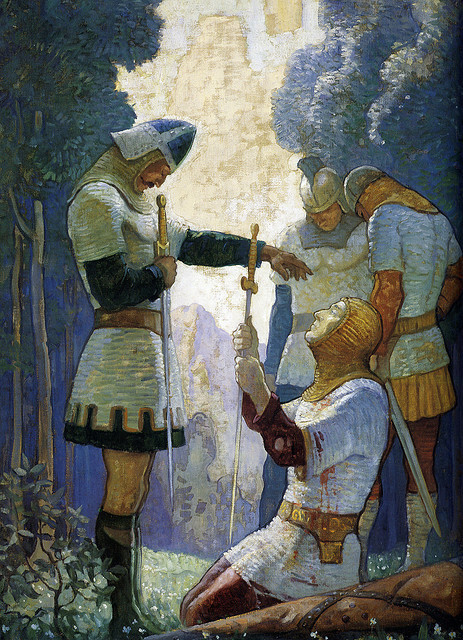 Then in strode the golden-haired man, taller than everyone else in the room, and escorted by six more soldiers, whom no doubt he could have easily divested of their swords if he had so wished, but instead, he had willingly given up his own sword, his air of confidence and bearing declaring he felt no need for it. The mysterious stranger came to a stop a few feet before Haroun al-Rashid’s throne, and after bowing, he awaited permission to speak. By then, the multitude of the royal household had crowded into the throne room. They now all gasped at such a bold demand from a stranger. The room became still as Haroun al-Rashid looked deep into Ogier the Dane’s eyes, searching as if to read his very soul. After a moment, he rose from his throne and stepped forward. The silence was broken when he placed his hand on Ogier’s shoulder, a familiarity he had never shown in public to any man, not even to Giafar. And so it was, in an hour’s time, that Ogier the Dane, Prince of Denmark, thousands of miles from the cold northern climes where he had been raised, found himself dining with Haroun al-Rashid, the Caliph of the Abbasid Empire, the most powerful man in the world. “I believe so, your majesty,” replied the Dane. To read more, order the book at www.ChildrenofArthur.com or Amazon. When Roland woke, he felt immense relief—he had been dreaming—or had he been? His body was still exhausted. Was it true? Had they been ambushed? He remembered marching with the army, and then—yes, there had definitely been a battle. He remembered the feel of his sword as he slid it out of a Saracen throat and the sight of the blood squirting out, and then—and then a great soaring pain through his whole body, but most of all in his chest, as another Saracen sliced—but—was he dead then? “Melusine’s Gift” tells the story of Roland, Charlemagne’s nephew, his grandmother, the fairy Melusine, and how they are connected to King Arthur and Avalon. His eyes bolted open, and he tried to sit up, but the pain soared through his chest again so that he was quickly afraid to move and hurt himself worse. He bit his tongue, trying to keep from screaming over the agonizing pain that shot through his body. After a moment, when the pain lessened, Roland looked about him, conscious that it was now night. He strained his eyes to see anything he could about him, but he could only make out shadows—of what he knew not. Where was he? Lying on the battlefield, not quite dead? Was the enemy still near? He closed his eyes again, fearing that if an enemy warrior or a grave robber should come and see he lived, he would be struck dead. He listened, waiting to hear footsteps, but all he heard was the great squawking of birds—carrion birds come to feast on the dead. In a moment, no doubt, they would be nibbling on him. He had to get up and make his way to shelter somehow—to see whether any of King Charles’ brave men remained to look after the dead and wounded—or were they all dead or wounded? He jerked in fright at the unexpected voice. He had not heard anyone approach, but it sounded like a male voice, and an elderly one. It spoke to him in French, not the Saracen tongue, and not the tongue of the surrounding provinces—rather the French of Paris, the French of King Charles’ court. He slowly opened his eyes; it took a minute for them to adjust. It was growing dark, the sun nearly set now. Beside him knelt a shadowy figure. “But you know me and my companions?” Roland tried to read the old man’s eyes in the dim light as his own eyes finally began to focus in the darkness. “Yes, I know you, Roland, King Charles’ nephew,” the man solemnly replied. A bolt of fear swept through Roland’s body. How did the old man know him if he were not with the army? Roland knew he wore nothing to distinguish himself as the king’s nephew. “How do you know who I am?” he asked. “Who are you?” Roland asked, fearing he might have fallen into the hands of a sorcerer. Roland’s eyes widened as the man spoke. Although the sun had set and there was no candle or other source of light, the man’s face suddenly became illuminated. He was bearded—a long white beard, his hair long and falling about his shoulders—and his eyes were ancient, wise, and mesmerizing. “Who are you?” Roland repeated, his eyes growing with amazement. Roland barely dared think the name that came into his mind, but as he stared at the old man, trying to regain his ability to speak amid his astonishment, a glow slowly lit the old man’s face, emanating from a ball the man held up near his chin. Roland had never seen this man before, and yet, he knew instinctively who he was, and finally, the name came to his tongue. The ancient wizard nodded, and then the light diminished from his face. “Can I have some water?” Roland asked, beginning to cough from the dryness in his throat. Merlin placed a drinking flask to his lips. The water was cold and felt wonderful on Roland’s parched lips. He had not tasted water since early that morning before the ambush that had caused his companions’ deaths. 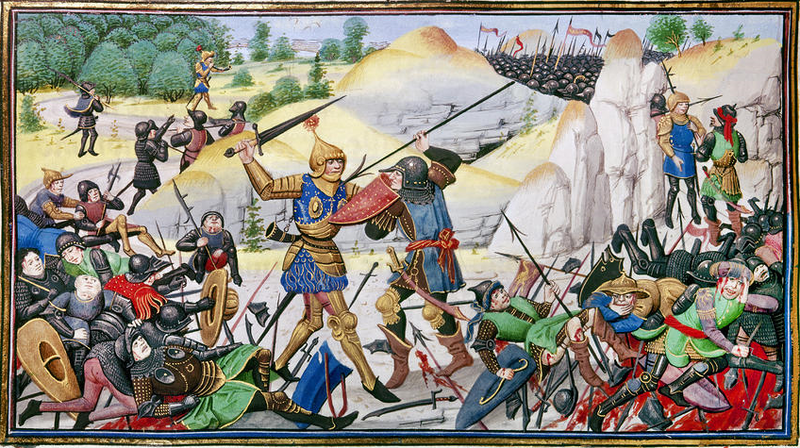 A Medieval Depiction of the Battle at Roncesvaux Pass where Roland is said to have died. “Will you take me to the army, to my uncle the king?” Roland asked when he had drunk his fill, and far more than he would have imagined could fill the small flask. “No, you will not be returning to France,” Merlin repeated. “Who are you to tell me where I may go?” snapped Roland, his strength having now been restored to him, and with it came the full pain of knowing that he would never again see his dead companions and his fiancée. Roland sat up in anger, but although he winced in anticipation of pain at the effort, he was amazed to feel his chest and stomach whole again. Roland looked only amazed, and perhaps he felt a bit of fear, for swords he knew of, battles he could fight, but from sorcery he did not know how to defend himself, and sorcery that called him to serve a higher power than his king—that was frightening indeed. “Where are you taking me?” asked Roland, first kneeling and then standing, amazed by his sudden renewed vigor; unbelievably, he felt stronger than he had before the battle. “We go south, to your grandfather,” said Merlin, turning and beginning to walk away. “No, you wouldn’t; he retired to the monastery at Montserrat before you were born,” Merlin called over his shoulder. “I don’t understand,” said Roland. “The truth of my family?” Roland whispered to himself. What was it Merlin had said at first, that he was of “his father’s people”—that he was a Briton? But how could any of that be? He knew his father had been born in France, and Raimond of Poitou—he remembered hearing the name—from his mother’s lips when he was a child, after his father had died. But he had dim memories of what his mother had said, not remembering much beyond that revelation that she was the king’s sister, that he was the nephew to the great King Charles of the Franks. There had been something more—about his father’s past and about a strange legend that his grandmother…but his thoughts felt all muddled. He could not remember it all at the moment…. And Merlin was walking off into the darkness. Roland quickly ran after him, no longer doubting that he was healed and well. “Here is a horse,” said Merlin when Roland was beside him again. In actuality, there were two horses hidden behind a rock in the pass. In another moment, the wizard and the warrior were mounted and galloping south, toward the monastery of Montserrat—where secrets were kept that Roland could scarcely imagine. My New King Arthur Historical Fantasy Series Is Launched! “Arthur’s Legacy,” first in a groundbreaking new historical fantasy series by award-winning author Tyler R. Tichelaar, suggests Camelot’s story was distorted by its enemies and reveals the role of King Arthur’s descendants throughout history. Marquette, MI, June 1, 2014—What if everything we ever thought we knew about King Arthur were false? What if Mordred were one of Camelot’s greatest heroes rather than Arthur’s enemy, but someone purposely distorted the story? What if King Arthur’s descendants live among us today and are ready to set the record straight? Award-winning novelist and Arthurian scholar Tyler R. Tichelaar offers entertaining and visionary answers to those questions in his new novel “Arthur’s Legacy: The Children of Arthur, Book One” (ISBN 9780979179082, Marquette Fiction, 2014). Soon, a series of strange events are set in motion, and at their center is Adam Delaney, a young man who never knew his parents. When Adam learns his father’s identity, he travels to England to find him, never suspecting he will also find ancient family secrets, including the true cause of Camelot’s fall. 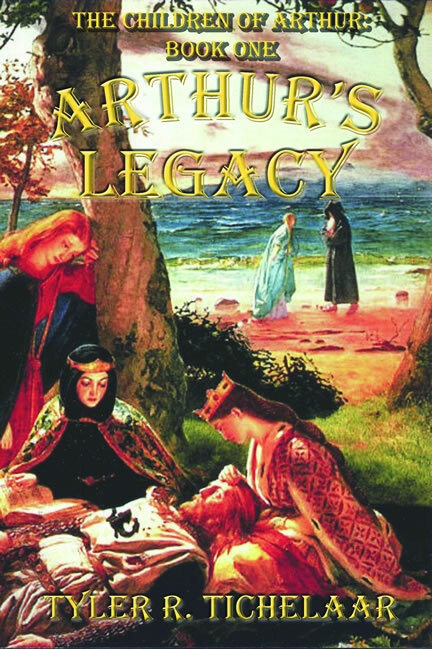 In “Arthur’s Legacy,” Tichelaar draws on many often overlooked sources, including the involvement of Guinevere’s sister Gwenhwyvach in Camelot’s downfall, Mordred’s magnanimous character, Arthur’s other forgotten children, the legend that Jesus’ lost years were spent in Britain, and the possibility that Arthur’s descendants live among us today. Tyler R. Tichelaar, Ph.D., is the author of numerous historical fiction novels, including “The Best Place,” and the scholarly books “The Gothic Wanderer: From Transgression to Redemption” and “King Arthur’s Children.” In writing “The Children of Arthur” series, Tichelaar drew upon Arthurian and Gothic literature and biblical and mythic stories to reimagine human history. 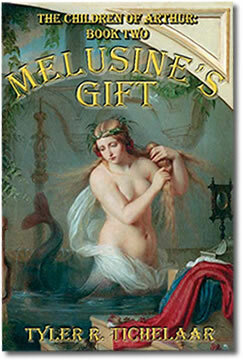 “Melusine’s Gift,” the second novel in the series, will be published in 2015. “Arthur’s Legacy: The Children of Arthur, Book One” (ISBN 9780979179082, Marquette Fiction, 2014) can be purchased through local and online bookstores. Ebook editions are available at Amazon, Barnes & Noble, and other retailers. For more information, visit www.ChildrenofArthur.com. Review copies available upon request.